This fish is no joke. Check out how we managed to reel him in. 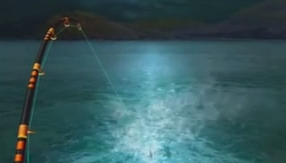 Who knew that a game about fishing would have boss battles? Maybe the Parrotfish got fed up with us catching all his minions. Either way, Ace Fishing: Wild Catch certainly knows how to crank things up.